As tempting as it is to pick a topic for your college application personal statement, get writing, and get it over with – this is not the right way to go. Chances are, you’ll get jammed up with writer’s block, end up wasting a lot of time, and become extremely frustrated. If you’re anything like me, creating an outline for your essays is a pretty annoying task. But creating an actionable plan will end up saving you time and it will result in a better personal statement. So, let’s start sharpening our axe! A college personal statement is just that: personal. It’s not an expanded, detailed list of your accomplishments, GPA, or anything else that can be easily gleaned from your required college application. Like it or not, you’re going to have to do a little thinking about who you are and what makes you tick. Here are four questions that you absolutely must answer before even picking a topic for your personal statement. #1 With one-word responses, how would your friends describe you? Unfortunately, we don’t have time to conduct a 360 review with our friends and peers. However, you probably have a pretty good idea as to how they would describe you if asked to do so in just one word. They might say things like: intelligent, driven, caring, philanthropic, etc. Write down as many adjectives as you can. Remember, just because it is a one word answer doesn’t mean every friend would give the same response. Your friendships and relationships are all different and we need as many self-descriptive adjectives as possible! 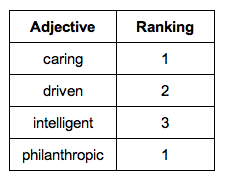 You might be wondering what these descriptors have to do with personal statement topics. It’s important that we define how others see us and how we see ourselves before we start writing our essay. Remember, it needs to be personal and answering this question will help us lay the framework for our personal statement’s foundation. #2 What are you passionate about? Now that you’ve come up with some adjectives that best describe you, it’s time to uncover your true passion in life. Passion is a powerful thing. It can tell people a lot about the kind of person you are and what makes you tick. When you talk about something you’re passionate about, you don’t need to explicitly say it’s something you care deeply about. Other people will hear it in your voice and see it in your excitement. It makes perfect sense that, when writing a personal statement, you’d want to incorporate something you’re passionate about. So, make a list of as many things as you can that you enjoy doing. 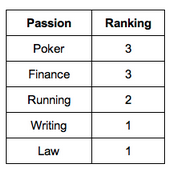 Your passions might be things like: gardening, running, trading stocks, playing poker, helping the homeless, etc. #3 What are your red flags? Just about everyone has those one or two things they wish they hadn’t done or had done better. Maybe your grades weren’t as high as they should have been. Perhaps you changed majors one too many times, demonstrating indecision or flakiness. Maybe you spent five years getting through a four year college without good reason. Are you lazy? I’ve just named a few red flags that could jump out on your transcripts or college applications including: sub-par GPA, flaky, lazy, low test scores. Chances are, you have a few red flags of your own. You probably already know them and think about them often. The good news is, these aren’t deal breakers. 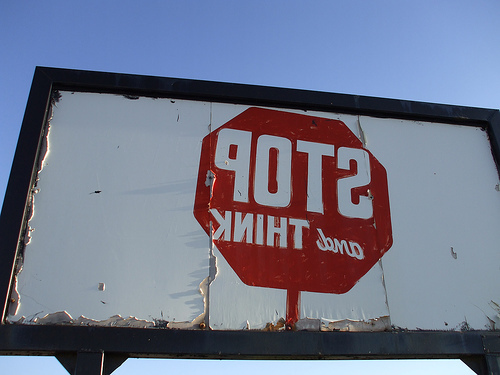 In fact, red flags show that you’re human and they can be flipped on their heads to make for great stories and become great personal statement topics. As much as you may regret them, it’s best to address them in your essay even if only indirectly. #4 Why this, why us, why now? Ahhh, the three whys. Sometimes this is a difficult question to answer. We know we want to go to college or graduate school because… well, because that’s the next step, right? Sometimes we’re in such a hurry to achieve our goals that we never stopped to ask ourselves why we’re doing what we’re doing. Whether you want to become a doctor, lawyer, or concert pianist, it’s important to be able to articulate why you’ve chosen the path you have. Why are you choosing the school you’re applying to? Everyone wants to feel special. Colleges are no different. Is there a particular program they specialize in that has piqued your interest? Is there a particular impact you feel you could directly have on the school or student body? Furthermore, why is now the right time to go to college? Is it wise to go straight from undergrad to graduate school? Would it be smart to get some work experience first? These are some of the hardest questions to answer. And, while they are not required for your personal statement, they make for a nice bonus. If you were a model student and truly don’t have any glaring red flags, this question becomes much more important. 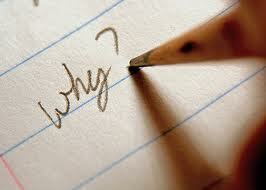 Take some time and give the three whys some serious thought. Whether it takes you three hours, or three days, think hard about these four vital questions. While writing your personal statement can be a seemingly overwhelming task, a great first step is to break it down into manageable ideas so that you have a few great personal statement topics to choose from. And always remember that the goal of your essay is to be a personal account of what makes you unique. In our next post about personal statement topics, we take the lists we generated with these four questions and decide on the best topic for our personal statement.